Things are falling apart faster than I expected. Certain Catholics (not all of them: I pray this is merely a noisy minority) have gone beyond expressing disagreement and misunderstanding and have started rejecting the authority of the magisterium under Pope Francis. Some openly accuse him and his supporters of heresy. Others think the Pope is incompetent. But the assumption of these individuals is their opinions carry more weight than the teaching of the Pope, and they are deceiving faithful Catholics into going along. Now, each Catholic who professes to be a faithful Catholic will have to make a choice. The choice every Catholic must make is whether to remain in obedience to the Pope and giving assent when he teaches, or to decide they can be Catholic without the Pope and listen instead to Catholics who say what they want to hear. Despite slogans of “Answer the question,” what we are seeing is not a Pope who is corrupt or in error with “heroic” Catholics opposing him. This is not about “bashing” the cardinals who issued the dubia. This problem precedes this, and has its roots in factions which have been at war with the Pope, promoting dissent since 2013. These dissenters undermine our faith in Our Lord who built His Church on the rock of Peter, deceiving many into thinking the Pope is destroying the Church. It saddens me to watch Catholics deceived into deciding they can no longer support the Pope. They think the problems in the Church will vanish once Pope Francis’ pontificate ends. But we have always had confusion and dissent in the Church. 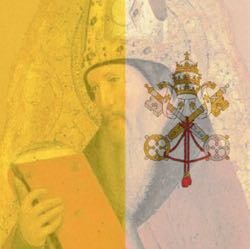 History shows that whenever portions of the Church fell into error, it was always the Bishop of Rome who was a beacon to the truth. We’ve had muddled Popes and morally bad Popes, but none of them have taught error. If his critics are right, this will be the first time a Pope has ever taught “error” and encouraged people to follow it. But this is what Our Lord promised to protect us from. Informed Catholics used to know that the Papacy was the final line in the sand to determine what was bound and what was loosed. If the Pope can teach error (binding error and loosing truth), then we no longer know when truth was taught, and by whom. That’s denying the promise of Our Lord to protect His Church. So, when it comes to this choice, I make mine to stand with Pope Francis. I trust that God will protect Him from error, and I reject the accusations that our Pope is incompetent or heterodox. That doesn’t mean I deify him or think he cannot sin. It means that since false teaching will endanger souls, God will protect the Pope from making false teachings. While I believe the dissenters are a minority, I will hold to this position, even if I stand alone, because I believe that being in communion with the Pope is God’s intention for us in being faithful Catholics.